Crawling insects and creeping rodents are a sure sign you need some sort of pest control. Nobody likes it when pests appear. Aside from being startled and outright scared, the presence of these annoyances poses an actual threat to the people living with them. Yes, it’s obvious pests are an annoyance, but they can become a real threat to you and your health. 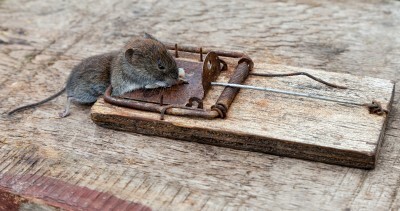 Pest control is defined as the management of a species “considered” as pests. Some of these creatures may strike some familiarity: flies, termites, rodents, ants and roaches just to mention a few. Pest control typically only pertains to animals, insects or other species considered as pests, which means not all crawlers or rodents that you see are subject to extermination. So, this is a general term we’ll refer to as parasites, weeds, vermin, and pathogens. These pests can inflict damage to human agriculture, livestock, properties, human health, and the environment. Pest control is then in fact necessary. In agriculture for example, pests inflict damage to crops by mass feeding on them, ultimately rendering the crop unfit for consumption. The locust invasion of the Congo is a perfect example of how pests can wreak havoc in farmlands, destroying valuable crops and rendering the area with food shortages. Species are considered pests if they carry a potential health threat to human beings too. Examples of these are rats which carry the deadly plague bacteria, and mosquitoes which serve vectors for malaria and the West Nile virus. Plants can also be considered pests, especially if they threaten to harm the condition of surrounding plants or organisms. Weeds for example, due to their fast reproduction, can rob other plants or crops from the needed nutrients for growth; as a result, plants surrounded by weeds wither and die. Now that we have defined what a pest is, let’s talk about pest control. It involves measures to control or eradicate so called pests. There are several types and each type uses particular pest control products depending on what type of pest is being dealt with. Most of us are familiar with chemical sprays and well equipped men with big cans on their backs when a pest management issue is brought up. But there are other ways of controlling pests other than what we understand and know as familiar. Biological pest control or pest management is one of them. With this method pests are controlled by employing their natural predators or parasites. Using their natural predators ensures no harm is done to the environment. Pest control also involves the removal of the pests’ breeding grounds. For example, to eliminate cockroaches and rats in a household or community, proper garbage disposal and regular garbage collection is necessary as these serve as food sources and breeding grounds for pests. A more expensive method of pest control, space fumigation, can also be done to eliminate pests. With this type of elimination, poisonous gas is released killing the pests. This method effectively kills pests in both larvae and adult stage. The more common method of pest control we’re all familiar with is the use of chemical sprays. These sprays contain poisonous chemicals that kill the pests immediately. Aerosol sprays are the most common and convenient type of pest control. So if you’re having your own battle with a pest or two, and you’re just searching for ways to get rid of them, then I hope I cleared up some of that up here. If your situation is kind of dire, you should probably think about hiring a pest control company right away. Home Advisor is a free homeowners service that can dispatch more than just one pro within a day or two to give you quoted prices for your pest control needs.